All companies with fleet vehicles confront the challenge of fueling, washing, maintenance, and repair. Traditionally, companies faced a binary choice: bring these tasks in-house or drive vehicles to off-site vendors. For very large fleets, bringing things in-house can be an effective way to vertically integrate and minimize costs. For smaller fleets with only periodic service needs, however, this approach is too expensive and complex, leaving them no choice but to waste labor shuttling vehicles to the gas station, car wash, and auto shop. With the rise of mobile car care services like Spiffy, smaller fleets no longer have to make this sacrifice. 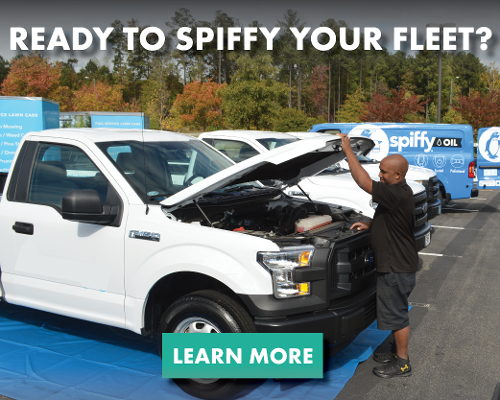 Spiffy can bring fueling, washing, detailing, and oil changing on-site and after-hours, with 100% digital scheduling, billing, and receipts. Fleets that understand this can see dramatic cost savings. For example, a local crane company in our Raleigh market has used Spiffy for almost four years and has saved well over a thousand hours at the gas station, car wash, and repair shop. Fueling is done three times a week; washing is done once a month; and oil changing is done every other month. Keys are exchanged using a key lockbox, and the company experiences no down time and expends no labor on any of these tasks. Those thousand hours saved were worth tens of thousands of dollars when you run the numbers on replacing service downtime with revenue generating work. It’s a complete no-brainer. Want to learn more about Spiffy fleet services? John Kitto is a Data Scientist and member of Spiffy Labs. He and his colleague Brandon Oxendine launched oil change for Spiffy nationwide.